Cork is a place you’ll want to revisit, over and over again. Cork has amazing magnetism in so many different ways. It’s an immersive experience that will satisfy the needs of any visitor, whatever your interests. As well as visiting attractions or engaging in activities, many get to experience true local life, brought alive by the people that you encounter during your stay. Nestled in the South West of Ireland between the signature visitor experiences of Ireland’s Ancient East and the Wild Atlantic Way, Cork offers the history, heritage and landmarks accompanied by artisan food and drink and a strong cultural, musical and artistic vibe. We are a place of dramatic natural landscapes, riverscapes, harbours, bays and seascapes. A place of mountains, river valleys and coastlines. Cork is distinctive and it offers unmissable experiences that can be enjoyed in multiple ways. The city and county complement each other well; the coastline offers a calm escape or a sporty challenge, the hills and mountains are there to admire or climb and the rich food heritage adds an element of discovery and satisfaction to any day out. For many visitors who live in other parts of Ireland, Cork is a special place that holds nostalgic memories of their own childhood-family holidays. That’s the magic of Cork that will bring people back time and time again. 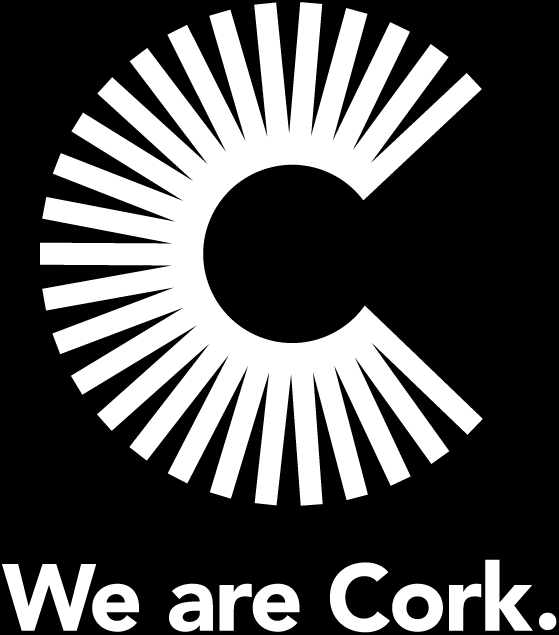 Visit Cork is Cork’s visitor organisation, leading the way in promoting Cork to people who are about to embark on a visit to Cork. 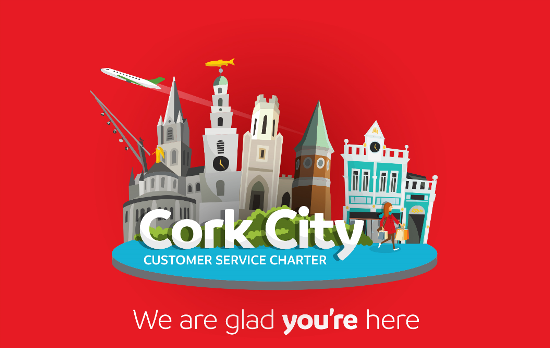 Their aim is to educate and enrich the visitor experience and their website is a central hub to find out more about what Cork has to offer, visitor attractions, places to stay, festivals and events and much more, so please it as a resource to build knowledge or plan your trip. The visitor experience in Cork is ‘made by many’. The many different characters that you will meet who will welcome you like an old friend and go out of their way to ensure your stay is a happy one. Our people are characterised by commentators as being amiable, approachable, helpful, open and independent minded. They are free-thinking who will share their stories and their passion for what’s real in life. They will want to connect with you and make you feel at home in a county that they have a deep pride and passion for. Many visitors want to immerse themselves in the locality of the place they are staying in. Cork is not manufactured, it is a truly authentic experience that is a rich mix of its traditional past and forward thinking focus. Visitors who have a deep appreciation for locally relevant activities and produce will not be disappointed in Cork. Community focused activities such as visiting local farmers markets, food producers or craft studios are available in most parts of Cork. Walking tours of villages or forests or a river or lake adventure are in abundance. Because of the local knowledge of the people, you will be able to discover the locality of Cork in a true and meaningful way and will never be too far from the next exciting experience. Cork is a lush coastal playground backed by rolling hills with an endless succession of ports, coves and bays that are a magnet for sailors and those who just love to be by the sea. It has a maritime history spanning over a thousand years, including the most influential periods of European exploration. Here you will discover an immersive and quirky way to experience history and heritage that will stimulate all your senses. Cork has the longest shoreline of any county in Ireland, the last sunset in Europe and one of the deepest natural harbours in the world. A Maritime Haven is the wild and rugged yet serene coastline that can be experienced through land or sea. See the colourful towns and villages; taste the abundance of local artisanal produce, savour the many stories and traditions from the locals. Hear the quirky and quick-witted Cork personality with its uplifting tone, with lyrics around every corner, and experience a local creative vibe that stimulates all five senses. It is the layering of these things together that creates a true maritime haven. The port and the coastal lands of Cork has created a wealth of maritime and outdoor activities, set in a scenic and unique lifestyle setting that allows you to explore the beautiful coastline in a number of different ways. We are a place that’s culturally rich and vibrant. A place with a wide range of cultural facilities and events as well as a creative flair that contributes to the cosmopolitan feel of the region’s city and towns. There are festivals with an international reputation, all of which add to the quality of life and visitor experience to be had in the region. There are many authentic experiences on offer, many of which mean exploring something new or unexpected. The storytelling festival on Cape Clear, the story of Cork harbour, the Butter Museum or a trip to Blarney Castle. The stories of anywhere you choose to visit will complement each other and add to overall experience and love for Cork. Cork’s creativity energy exudes from the people of Cork, inspired by the place of Cork. To get into the mindset of our creative offering, visit the English Market or local farmer’s market and hear of the local stories connected with our artisanal produce. Or why not visit a local craftsperson and hear first hand of the inspiration behind their work; go a step further and engage in a creative workshop to make something, not just buy it. By evening time, you’ll be ready for a live music session, often put together by a group of local people with a passion for the instrument they play. Whether you are visiting on your own, as a couple or in a group, there are some cool, exciting and energising things to do in Cork. From morning to night, there is enough to do that you will remember for a lifetime. If you are ready to try new things, Cork has a lot to offer; you can explore the city by day, on foot, by bike, kayak or currach and then immerse yourself in the city’s unique atmosphere at night. 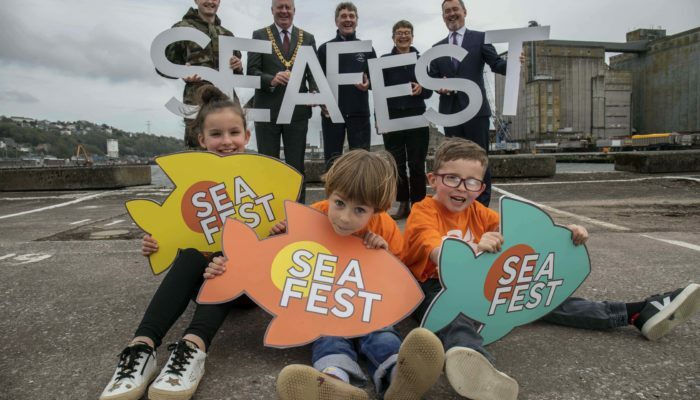 Across city and county you will be able to enjoy lots of new, quirky activities such as kayaking at night, Triskel Arts Centre, live music events and water sports. If planning your visit at festival time, you will get to enjoy the vibe of local and international entertainment in all its glory – street performers, live music, comedy tours and street art. So, if you are coming from afar on a main holiday or another part of Ireland for a long weekend, you won’t be disappointed with what Cork has to offer. Cork is increasingly attracting business tourism as organisers recognise the attraction of hosting their conferences in the region. With world class conference facilities for up to 1,000 delegates, and internationally acclaimed hotels, set against a backdrop of 1,100 km of coastline and internationally renowned golf courses in Ireland’s gourmet capital, Cork offers a compelling location for business visitors. 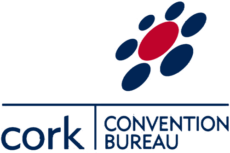 The Cork Convention Bureau can help event organisers with practical supports and advice to ensure the smooth running and success of their event.